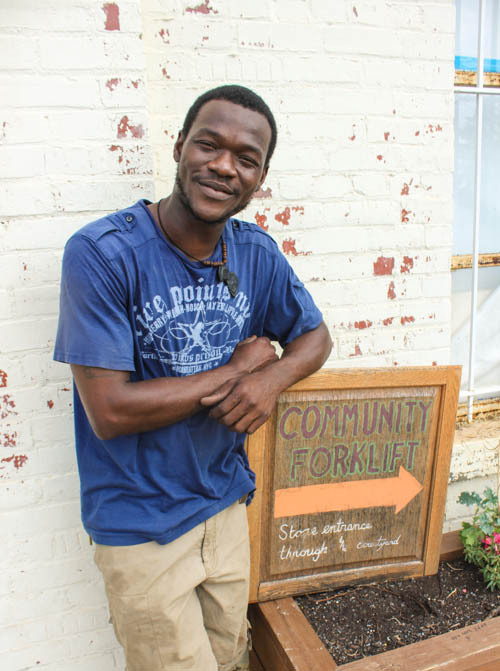 Tony Ayeni, serves as a Community Forklift “jack-of-all-trades,” helping customers and working with other CF employees to create a lively reuse experience. The success of an organization like Community Forklift (CF) relies entirely on the hard work and passion of its workers. This week, I had the chance to sit down with one of the newest members of the Forklift Staff, Tony Ayeni, to talk about his life and his role in the operation of the organization. IL: Where are you from? IL: What brought you to Community Forklift? TA: It’s actually a funny story. My friend lives around the corner, so I have always known about CF because I would pass by it on the way. I also work on cars and while I was attending Lincoln Tech for auto mechanic certification, I drove by it a few times, too. The first time I came here, I was looking around and I thought to myself “This. Is. Heaven!” [It was awesome to see all the cool stuff and that it was for sale!] It was after that visit that I made a decision to try and get a job here. IL: How is Community Forklift a great option for folks working on home and DIY projects? TA: Community Forklift is a great option for them because it’s an affordable place to find materials to work on projects. Most of the time, people start working on DIYs as a hobby. They research and look online [to learn what they need to do], but it’s hard to get materials for cheap. Community Forklift allows them to get the things they need risk-free because the prices are so great! IL: What do you do at Community Forklift? TA: Well, I do a lot of things. I work as a Reuse Associate, writing up tickets and helping customers down in the warehouse during our store hours. I work with the Floor team on inventory. I go out with the truck at times to help with donations. I also work with the Outreach and Education team doing work for the events that we hold. I’m kind of like a CF jack-of-all-trades. IL: What the most rewarding thing about working at Community Forklift? TA: In Africa, we don’t waste anything. Old stoves, containers, furniture, everything is being reused there. So, when I found out about what CF does, I knew that this was the perfect place for me to work. CF does the things that that are done back home [in Africa] but in a controlled environment. They take the things that would be thrown in a junkyard or placed on the street [and put them to good use]. I love the mission of the organization and what they’re try to do in the community. In the future, I hope to start that kind of organization at home. 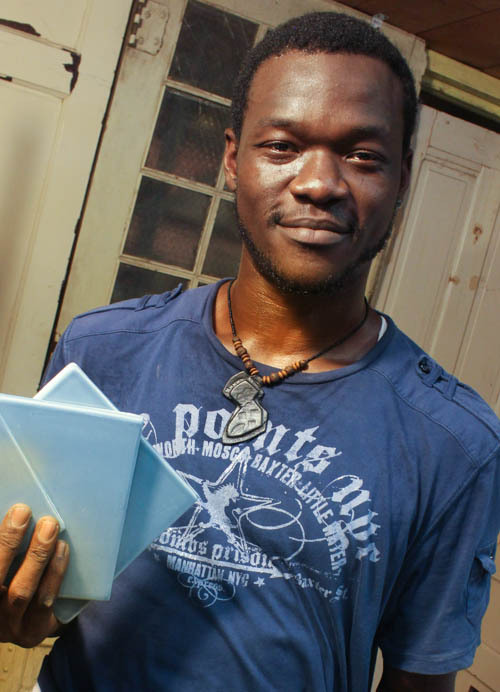 Source: Tony Ayeni, interviewed July 18, 2013.